Equity Based Drawdown And New Metrics! We’re excited to announce a very anticipated and requested change – equity based drawdown. As you might know, the drawdown calculation up until now was balance based, however that isn’t the most accurate way of measuring drawdown since equity can move drastically while the balance remains the same, hence the requested change. 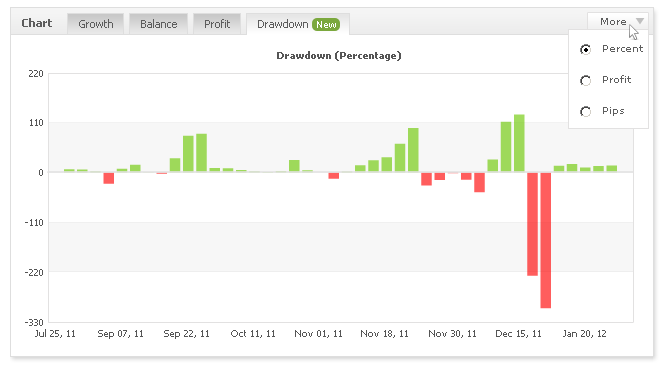 Along with this change, custom analysis will now calculate the true equity based drawdown, in real time (based on your analysis settings). As a side note, you’ll notice a a lot less systems in the systems section since many of the systems got filtered out due to the calculation method change (default drawdown setting is 30%). All accounts are being reprocessed for the new metrics and should complete within an hour. Contest update – the 1 lot limitation was lifted due to the many requests we’ve received. 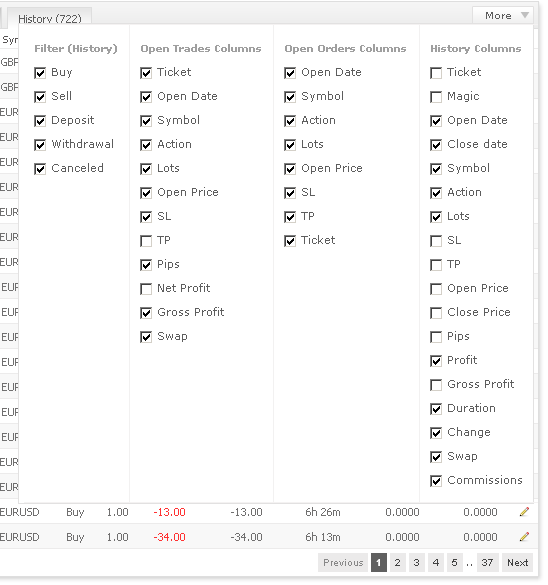 Spreads comparison engine – we’ve added 15 more brokers to the comparison: Traders Way, FXOptimax, TradeFort, FXDD, FIBO, Sunbird, IamFX, SynergyFX, Easy Forex, GFT Forex, FxSalt, FBS, IKOfx, X-Trade Brokers and FXCC. The comparison now consists of 75 brokers and 53 symbols! You are currently browsing the The Myfxbook Blog blog archives for February, 2012.